Enter an introductory preaching classroom today at a mainline seminary and you will discover a dizzying diversity of differences along race, ethnicity, gender, class, ability, denomination, geography, and language. It is no surprise that some of the classic texts in the field of preaching no longer have the same primacy given this changing demographic context. How might one begin to teach preaching in a classroom when the contexts of each individual student might be vastly different? Instead of shying away from this seemingly impossible task, Sally Brown and Luke Powery embrace and even bless this challenge, affirming that the “increasing diversity in today’s preaching classrooms is a gift, not a problem, a beautiful blessing, not a burden” (xv). The writers themselves embody this beautiful blessing of difference given that they could not be any more different on paper, being persons of different race, gender, age, and denominational affiliation from one another. This book is a fruit of their conversations and borne out of a shared conviction that “diversities become opportunities to enlarge our view of the world and the endless variety of the Spirit’s ways with the saving word” (xv). 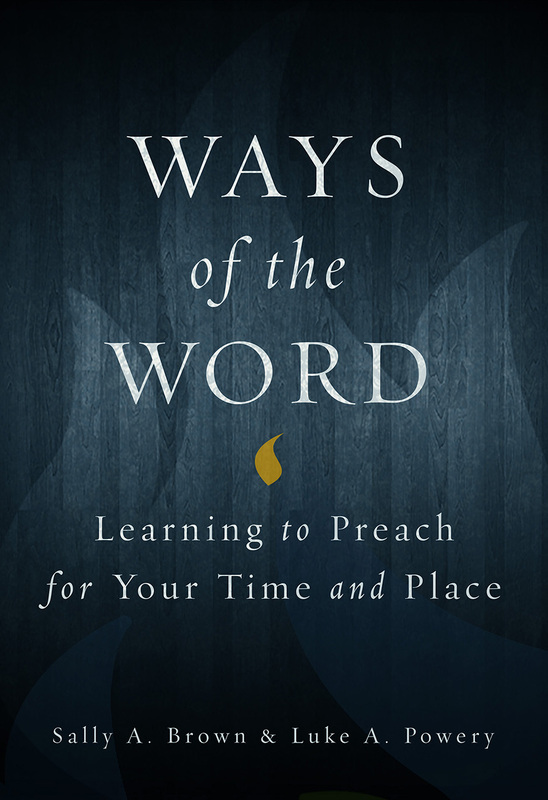 The main title of the book Ways of the Word reveals their core belief that the Spirit is not one to be contained by any one tradition; the subtitle Learning to Preach for Your Time and Place hints that the goal of the book is not to teach one to preach (an impossible task!) but to accompany the reader on a “journey of learning-by-doing” (xii). The writers emphasize that they have written the book with the hope that it will be used interactively in “diverse preaching classrooms or preachers’ peer groups” as they believe that “preaching is best learned in some kind of group environment, whether physical or virtual (Internet-based)”(xiii). The book opens with an introduction that offers a roadmap followed by a co-written opening chapter that affirms the writers’ core affirmation that “preaching is a Spirit-animated event that takes place within Spirit-created communities” (9). Nine other singly authored chapters follow which cover familiar areas in preaching textbooks from preaching’s connection to theology or designing sermon forms to little-explored and fresh expositions on the connection between preaching and spirituality, including a beautiful chapter on preaching and prayer. The singly authored chapters are further enhanced by the presence of text boxes or “sidebars” which include commentary from the other writer weighing in on a key point, which adds greater texture and nuance. Each chapter also contains discussion questions, inviting the reader(s) to consider their particular contexts. A substantial bibliography for further readings on the topic closes each chapter. What makes this book worthwhile is not just its rich and valuable content covering many previously ignored topics in the field but also its dialogical and open-ended format. This groundbreaking book in the field of homiletics truly practices what it preaches as these writers model a way of scholarship and pedagogy that celebrates diversity, humility, and hospitality.